My classmates and I have been working this week to get our show hung at the ARTBAR Gallery in Kingston, NY. . 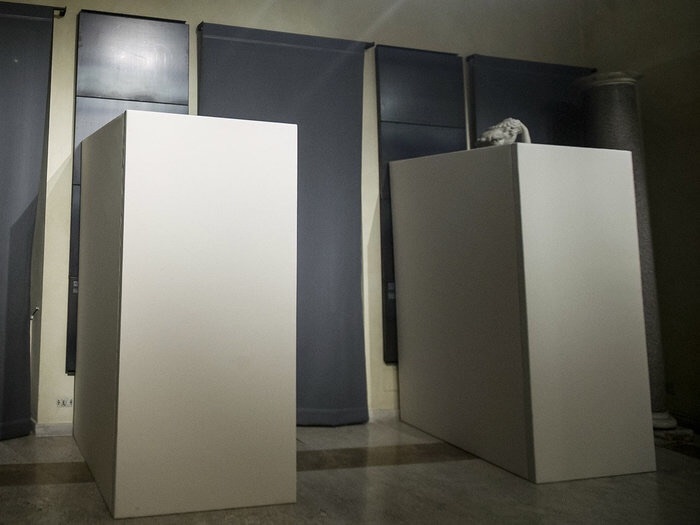 However, I think there is something interesting about this image of the censored statues. I've long expressed an interest in art jewelry writing, and have decided to put that interest to work on my blog. 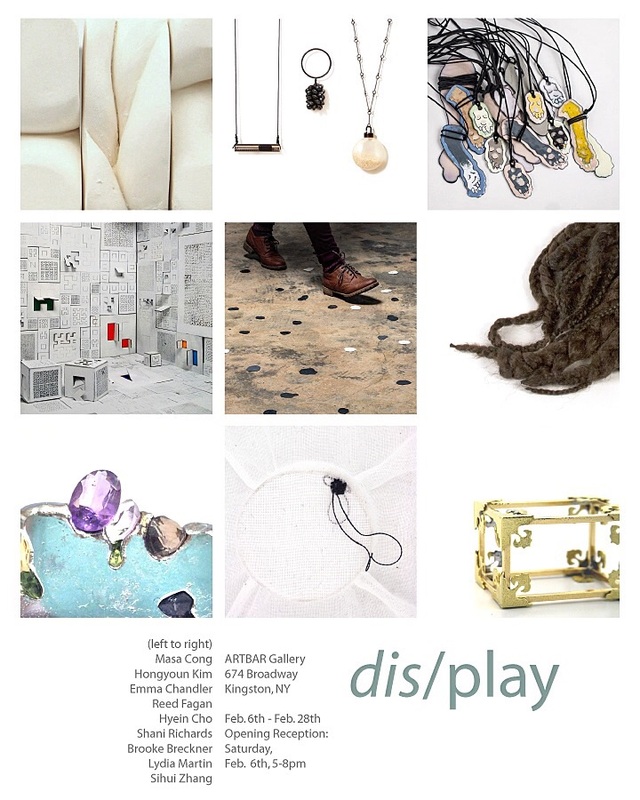 discussions of jewelry, art, and studio craft exhibitions and Events in the Hudson Valley & Beyond. 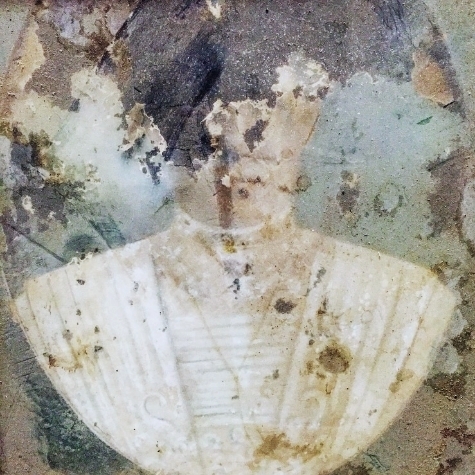 One of my biggest (absurd) regrets about my trip to Peru? I should have bought one of those mummified llamas. 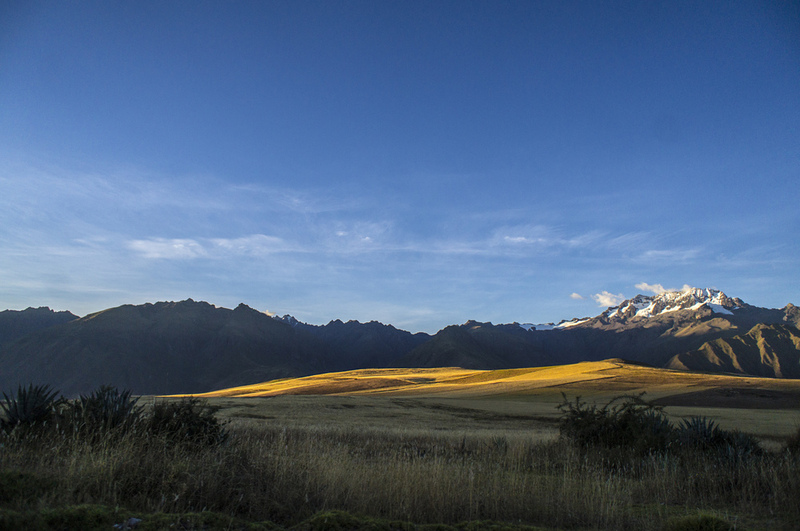 The Spaniards sought vast stores of Inca gold in their conquest of Peru. The gold that was lining their ritual spaces was pillaged, and stolen away to Spain. Still, everywhere I looked, I saw gold. Golden light, golden quinoa, golden flowers - a different sort of gold, but gold all the same. 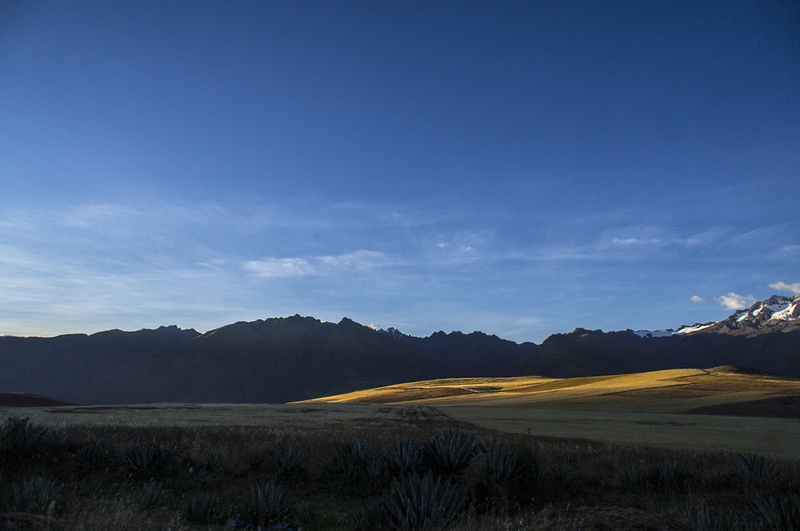 These images are from the Sacred Valley, driving out toward the agricultural terraces of Moray, looking back at a vanishing patch of golden sunset. This is another image of the glacial lake Humantay. This image, certainly, is still a work in progress. I think it's meant to be some sort of small sculptural paper work: a book, a folded piece of paper - something along those lines. 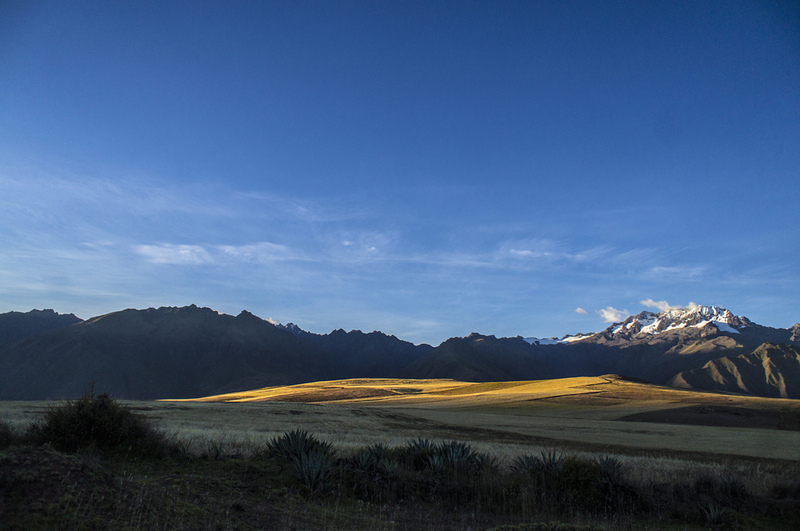 From day one of the trek, the landscape awed me. The immense size of the landforms, the richness of their texture, the vastness of the sky - all of these things still escape adequate description each time I try. The highlight of the trip to Peru was the trek to Machu Picchu (well, not Machu Picchu specifically, to Aguas Calientes - the town from which one visits the archeological wonder). My brother, his fiancée, another traveling companion, and I traveled with Salkantay Trekking. 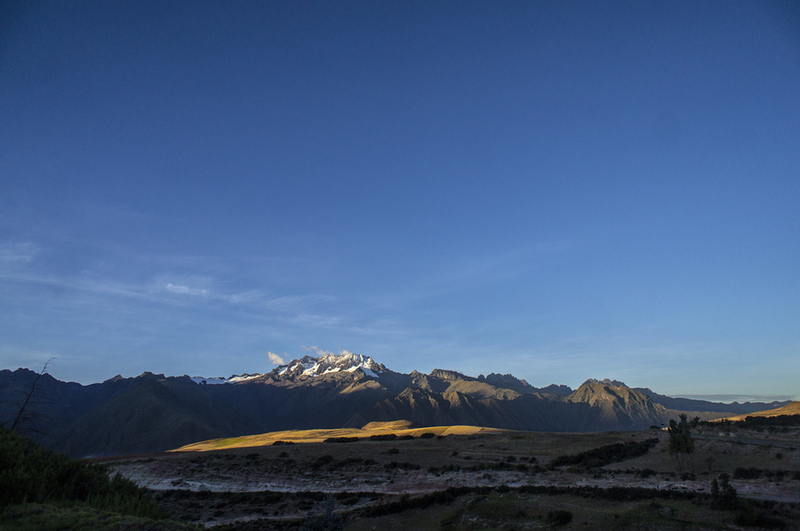 The word "gueling" appeared next to almost any mention of the Salkantay Trek - a five day, four night hike up through the Salkantay Pass and back down again. The first day, after lunch, they take you up a sheer rocky hill to a glacial lake at the base of the Humantay mountains. The unreal aquamarine tones of the lake reflect the towering mountains, covered still in ancient blue snow. 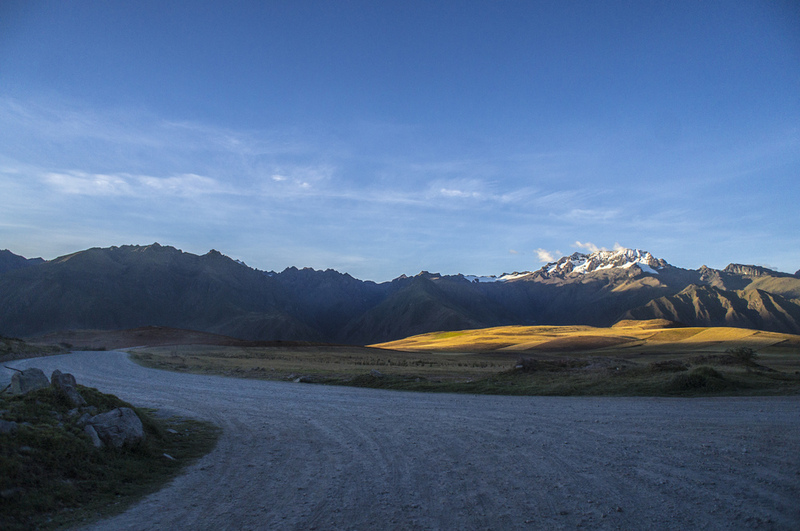 These photos are from a peatonal/mirador cutting through Cusco. 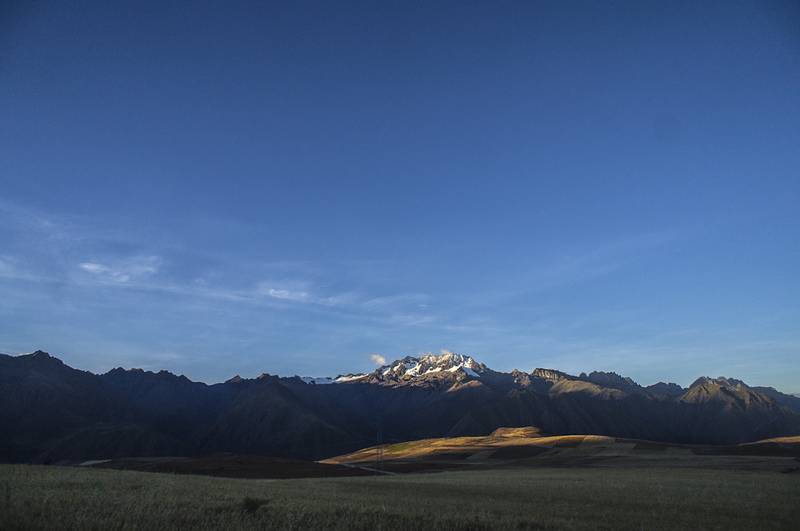 I pieced together two photos I shot (one of just roofs, one of the mountains ringing Cusco. Several years ago I did series of landscapes pieced together from numerous photos. The finished product taking on the awkward shapes made by the way in which the images did not perfectly fit together. This is a return to that mode of working. Art school habits die hard.